WILLEMSTAD - The Plaza Hotel has been sold. The hotel in Punda went bankrupt in June 2017 and was initially sold quickly for 16.3 million guilders to Americans. Later it turned out that they didn’t have the necessary funds to acquire the hotel. This morning it was announced that Ohio-based Thomas Bolero bought the hotel for 13.5 million. He indicated that he had long been devoted to the hotel and that he had been in the hotel industry for more than ten years. 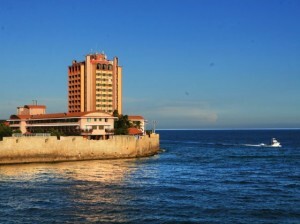 Bolero wants to refurbish the hotel and open it again in the summer of next year.